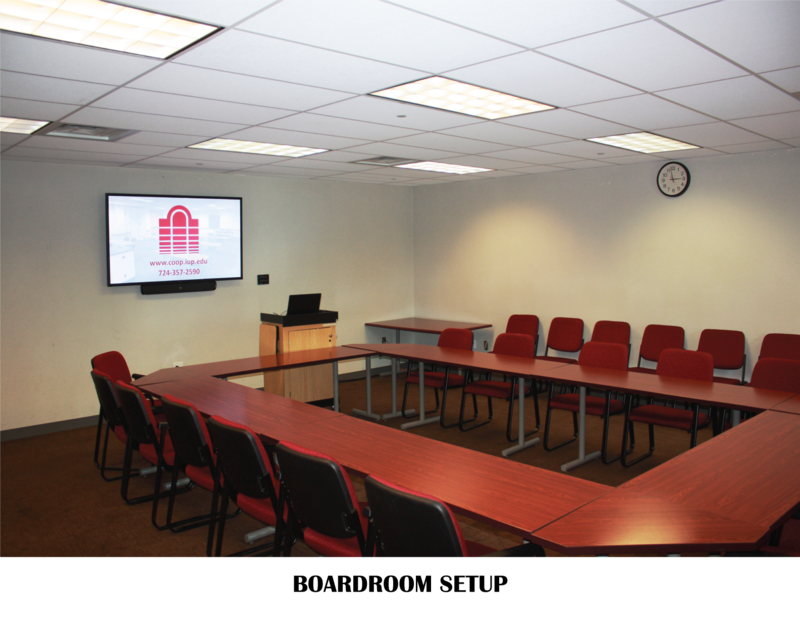 The Conemaugh Room is a 634 square foot boardroom style room for conferences, meetings, or presentations. 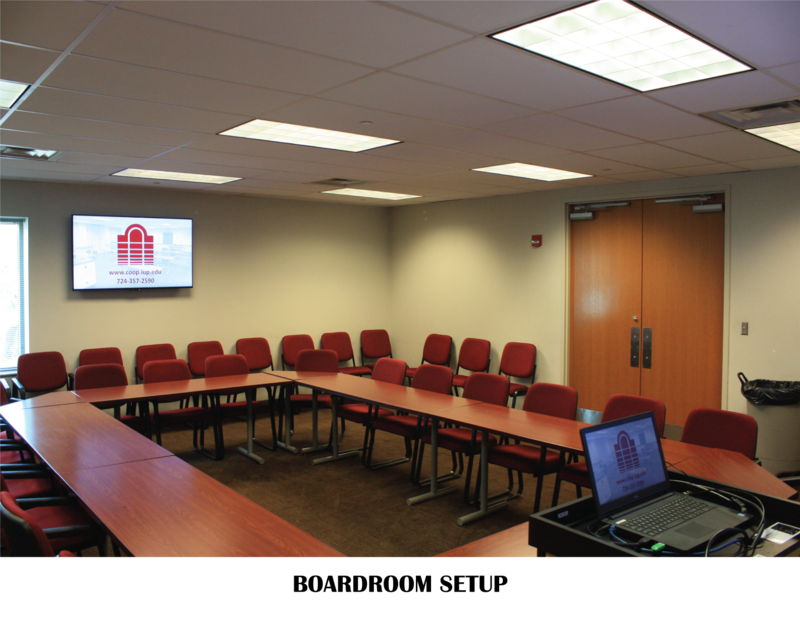 With 70” and 60” display monitors and a podium that includes HDMI and VGA connections, the Conemaugh is the ideal setting for your next meeting. 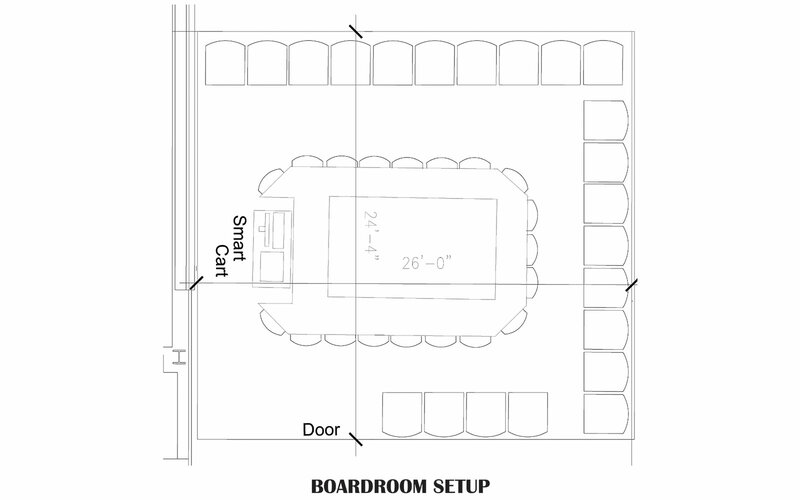 A seating capacity of 17 at the table and 22 chairs additionally located around the perimeter of the room, the Conemaugh can hold a total of 39 people.